MONTREAL – It is on an occasion like this — the Montreal Canadiens hosting the Toronto Maple Leafs at their hockey cathedral on a Saturday night so frigid, the wind whips through the corridors the way it does across frozen ponds — that we’re supposed to be stirred by memories of a rivalry bitter and beautiful. Problem is, the stories are too old to feel real. A generation has been skipped, deprived. All the truly meaningful Habs-Buds showdowns, the win-or-die ones in springtime, predate the birth of anyone lacing up a pair for Saturday’s tilt at the Bell Centre, second place in the Atlantic Division and a consequential four-point swing hanging in the air. Fifteen years the Maple Leafs and Canadiens have clashed in the playoffs (8-7 Habs, for those scoring at home), but not once since 1979. If Patrick Marleau saw that series, it was only through his mother’s womb. So, the players who wore blue and white and red and scripted an action-packed, air-tight, seesaw 4-3 overtime victory for the Maple Leafs Saturday dutifully acknowledge the history, but they repeatedly turn empty pockets inside out when asked for a favourite memory of this storied rivalry. All the pages have yellowed. “This is the first year both teams look like real hockey clubs,” Mike Babcock said. “They were good; we weren’t good. They had an off year [in 2017-18]. This is the first time it’s actually been two teams that look like they’re pretty good teams, look like they’re going in the right direction. Sportsnet NOW gives you access to over 500 NHL games this season, blackout-free, including Hockey Night in Canada, Rogers Hometown Hockey, Scotiabank Wednesday Night Hockey, the entire 2019 Stanley Cup Playoffs and more. Toronto embarked on its six-game road trip undefeated in regulation in the Jake Muzzin Era, climbing to fourth overall in points percentage (.651). Montreal, a wonderful surprise, is eighth (.618). Were it all to end in a blink, this, folks, would be your first-round playoff matchup. The exact type of draw Gary Bettman was gunning for when he rejigged the playoff format has eluded us. Andrew Shaw, returning from a neck injury that had sidelined him since New Year’s Eve, started the party 51 seconds after puck drop, tipping a Jeff Petry point shot through Frederik Andersen. Toronto’s fourth line responded immediately and repeatedly, going two-for-two in its first two shifts. Fourth-liner Andreas Johnsson potted his fourth goal in three games, and defenceman Nikita Zaitsev found the net for just the second time all season thanks to a Frederik Gauthier screen. But the home side, confidence soaring after its impressive victory over Winnipeg Thursday, refused to wilt. Tomas Tatar tied the game in the second period when he wristed “a pretty good knuckleball” (Andersen’s phrase) over the goaltender’s left arm, which had been banged up earlier in the game. Brendan Gallagher restored Montreal’s lead, beating Andersen’s same glove side by driving to the net and finishing off a Max Domi–fuelled rush. Then William Nylander, having rediscovered his old jump, lasered high on Carey Price to force a fourth period. Once the Leafs killed its second puck-over-glass penalty, John Tavares accepted a pretty saucer feed from Mitch Marner with time to consider his next move, then snapped a hard backhander over Price’s shoulder to OT glory in his first trip to Montreal as a Leaf. All regular-season games may be measured equal, but that doesn’t mean they have to feel that way. A November Monday in Raleigh this was not. “Loud, loud, loud, loud. Every shift, you have so much energy. It’s incredible,” said blue-bleeding Zach Hyman, estimating that a playoff duel at Bell Centre would multiply that volume tenfold. Really, only the coaches — each on his second Original Six franchise after going all the way with his first — can remember when Highway 401 linked two relevant powers. Babcock loves coming here for the pageantry and the smoked meat on the counter at Schwartz’s and the reunions with his McGill buddies. The memories flood. But he also loves a hard match game with a shrewd hockey mind and the challenge of solving the game’s hottest goalie. “They’re playing with speed. They’ve got different dimensions in each group. The 24 car [top centre Phillip Danault] is real responsible both ways, [Brendan] Gallagher is tenacious, [Jonathan] Drouin can really pass the puck and shoot it,” Babcock said. Both sides prefer to transition at breakneck pace, spinning turnovers into scoring chances. At its best, Montreal’s forecheck is fierce and its neutral-zone pressure resembles a goal-line stand, suffocating its enemy into mistakes. 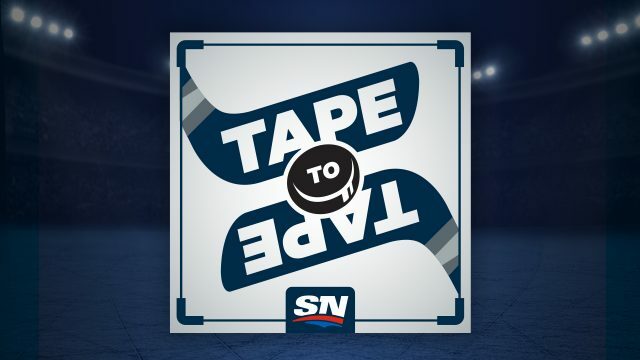 Ryan Dixon and Rory Boylen go deep on pucks with a mix of facts and fun, leaning on a varied group of hockey voices to give their take on the country’s most beloved game. “They’ve been playing with Claude now for over a year, so their systems are down in their minds. They know how to play how he wants them to,” Marner said. Keep winning, and we’ll be treated to a series only 40 years in the making. The bear that is Leafs-Habs has crawled out of hibernation, finally. Hockey deserves seven more like this one. “The buzz around both cities would be pretty wicked,” Marner said. Quand tu réalises que Toronto est en ville. Blue Jays Confidential: Let’s cut Danny Jansen some slack, OK?